Star of the 1960s TV series "The Avengers"
Patrick Macnee, who played a stylish secret agent on the 1960s television series "The Avengers," has died. He was 93. 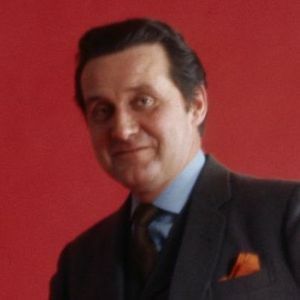 Macnee, who died Thursday of natural causes in Rancho Mirage, California, played John Steed on the TV program, which debuted in the U.S. in 1966 and ran for eight years in syndication. Macnee's character in the series was partnered with a series of beautiful women. The most popular was Diana Rigg, who played junior agent Emma Peel. Add your thoughts, prayers or a condolence to Patrick's guestbook. "My condolences to the Macnee family for the loss of your dearly loved, Patrick. I enjoyed 'The Avengers.' May the memories always warm your hearts and may you find comfort in God's promise to do away with all suffering.__Isaiah 33:24."